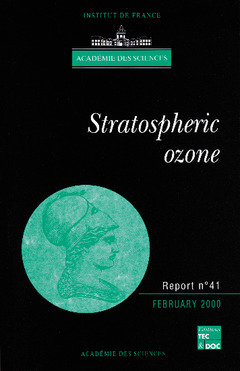 This report explores the main mechanisms which are responsible for stratospheric equilibria, the theoretical and experimental tools which have been developed in the past twenty-five years to study the atmosphere, the evolution of the ozone layer, the regulatory measures taken at the international level, the consequences of changes in ozone content on atmospheric radiation, man and the biosphere. An assessment of the certainties and uncertainties is made and recommendations are put forward to policy makers regarding scientific research. Introduction. The mechanisms. The tools. Evolution of the ozone layer. Control of emissions and regulatory measures. Radiation consequences of the stratospheric ozone evolution. Consequences of stratospheric ozone trends on man and the biosphere. Conclusions and recommendations.